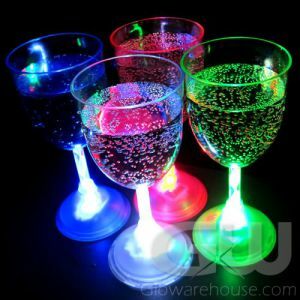 - Super Cool Light Up Martini Glasses! - Classic 7 oz Long Stemmed Martini Glass Style! - Gala Charity Events! Happy Hour! Glow Parties! 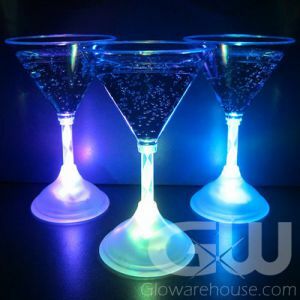 Shake it up and then Light it up with Glow in the Dark LED Martini Glasses from Glowarehouse.com! 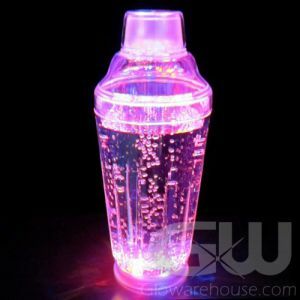 Glowing Martini Glasses are a great choice for banquets, weddings, graduation and birthday parties, and charity events. The Light Up Martini Glasses are available in Blue, Green, Red and White LED colors so you can choose just the right color for your party. 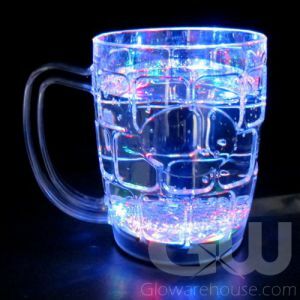 If you truly want to make it a special night, break out the Light Up Stemware from Glowarehouse.com! Lighted Martini Glasses are lit from within by internal LED (light emitting diodes) that shine up through the center stem of the glass to create a beautiful light effect. 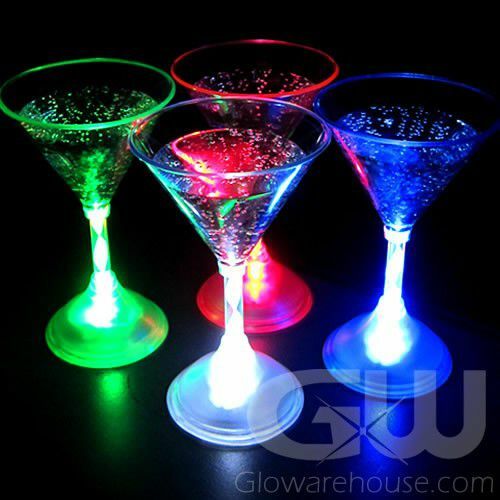 Now you can actually improve on the perfect martini with Light Up Martini Glasses from glowarehouse.com! Note: The acrylic plastic on the Red LED Martini Glass is colored light red or pink, however the internal LED lights are red. 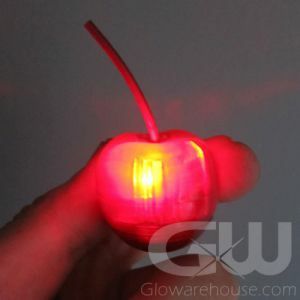 When the glass is turned on, it lights up with bright glowing red light.